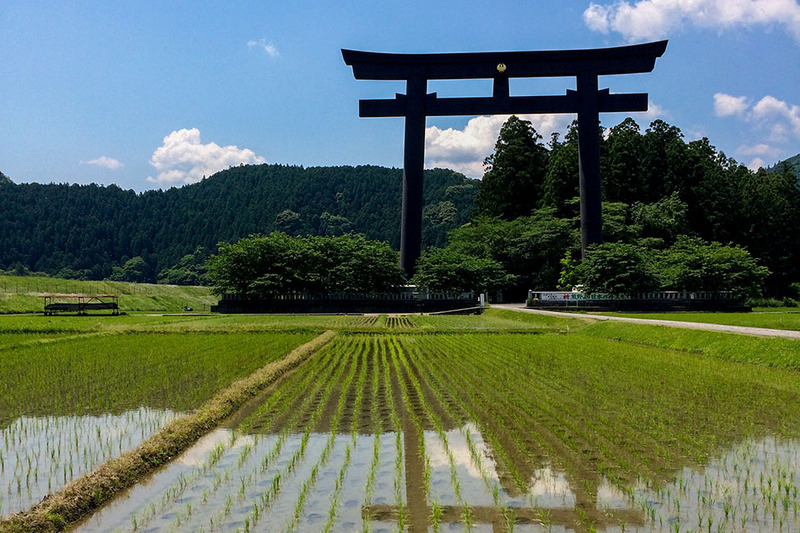 Journey to Kumano’s Spiritual Roots. 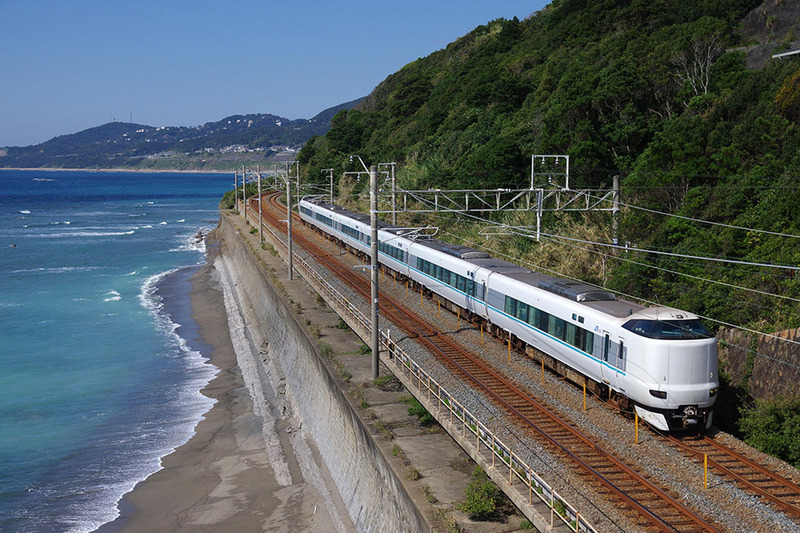 This highlight itinerary visits the two Grand Shrines (Kumano Hongu Taisha & Kumano Nachi Taisha) with short and scenic highlight walks. Overnight at a hot spring village in the mountains (Kawayu Onsen) and on the coast (Katsuura Onsen) while dining on delicious local cuisine. 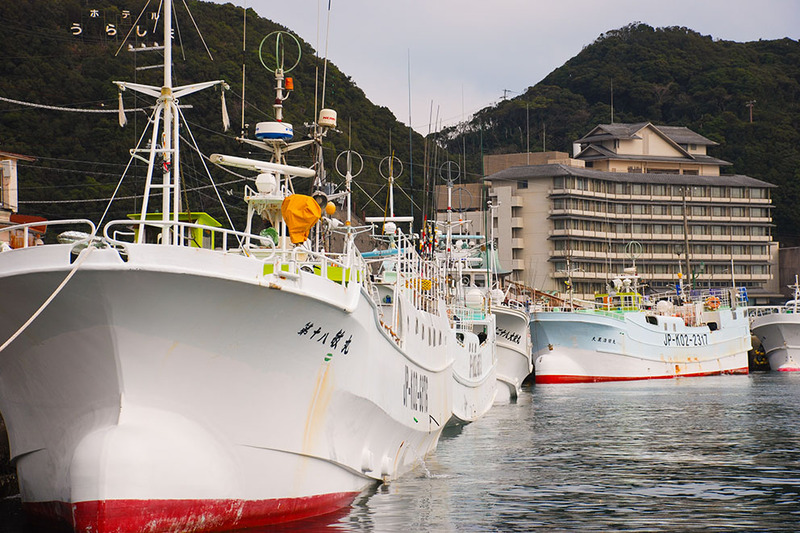 This itinerary focuses on the best sights and walks in a compact time frame- a great introductory visit to the sacred Kumano region of Japan. Overall Level: Shorter walks, beginner. Daily Luggage Shuttle: Available for all days. 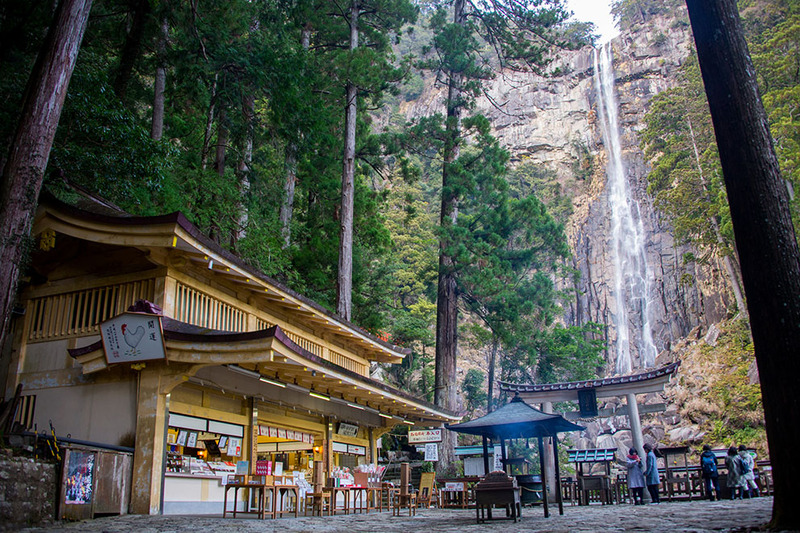 Recommended For: Those wanting shorter highlight walks on scenic portions of the Kumano Kodo. A geological wonder: Hot spring in the river! Ancient and sacred pilgrimage route. Austere Shinto shrine with long history. Short but scenic cobblestone staircase lined by ancient trees. DAY ONE is a transfer to Kawayu Onsen, a mysterious natural wonder where hot spring water bubbles to the surface of the river. Enjoy the countryside scenery during the voyage. TIP: Daily luggage shuttle is convenient and highly recommended: to be able to walk freely without the worry of your bags. 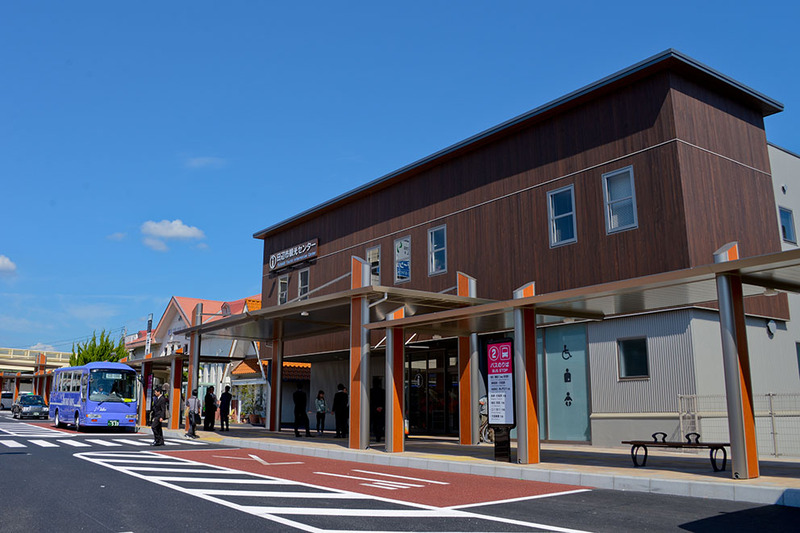 TIP: There are three bus stops in Kawayu Onsen, so check to see which one is closest to your accommodation. 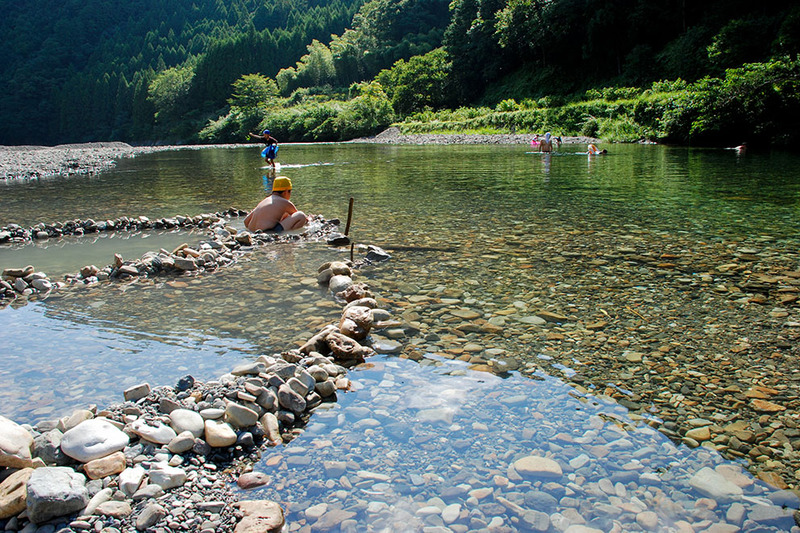 Kawayu Onsen is a small settlement along the Oto-gawa River: a geological thermal wonder where hot spring water bubbles to the surface of the river. On the north side of the river is a collection of accommodations. On the south side of the river is a green forested mountainside. There is a diversity of accommodations in Kawayu Onsen such as Ryokan inns, Minshuku lodgings, each with their own hot spring baths. DAY TWO is an excellent half-day walk on the Kumano Kodo from Hosshinmon-oji, a small subsidiary shrine. 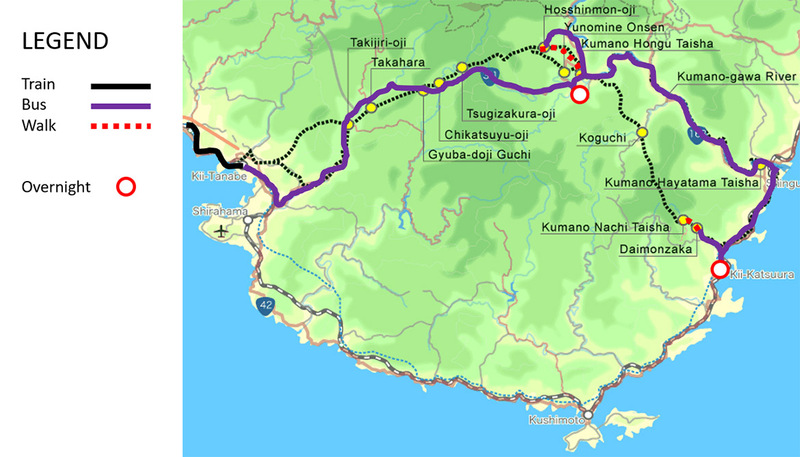 This section is often refered to as the climax route: a wonderful mix of moutain settlements and forested trails, culminating at the austere Kumano Hongu Taisha Grand shrine. After visit the Hongu area, bus to Katsuura Onsen on the coast. It is usually easiest to order your lunch box from the accommodation. Book a lunch box plan to take advantage of this service. NOTE: The Hosshinmon-oji bus stop is just east of the shrine. 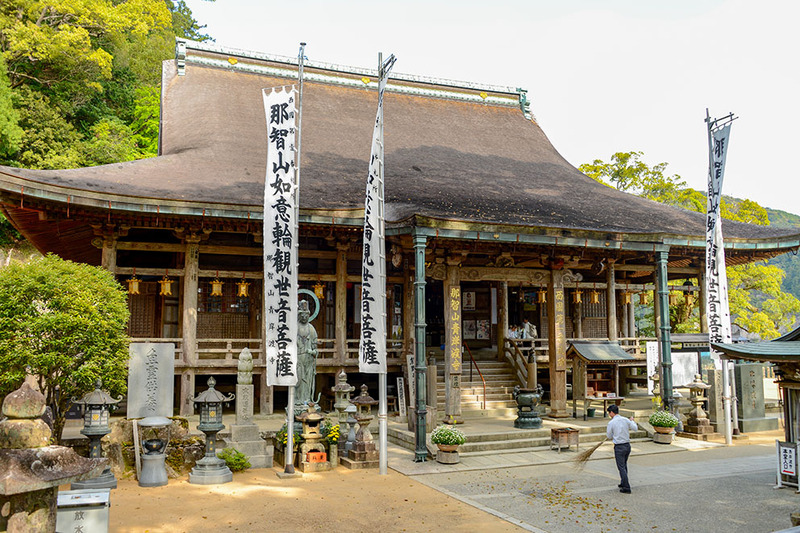 To visit Hosshinmon-oji walk a short distance west and then return to the bus stop to continue to Kumano Hongu Taisha. 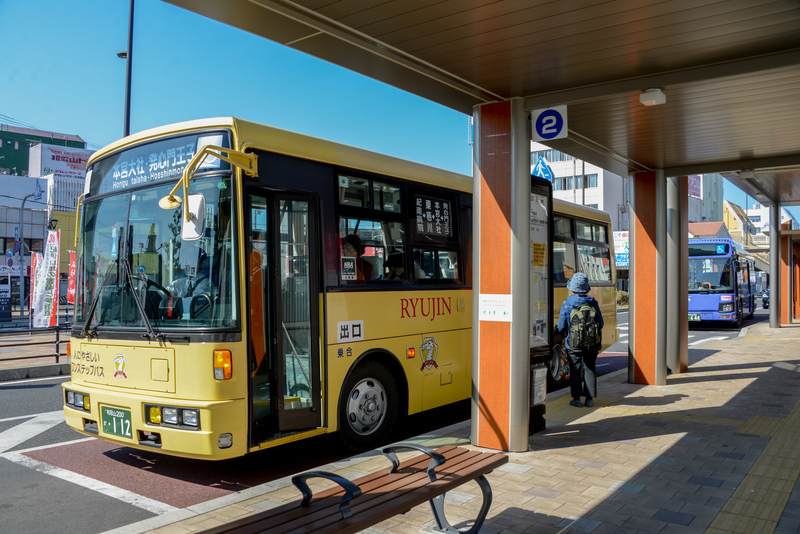 Ask the bus driver for directions when you arrive at Hosshimon-oji. 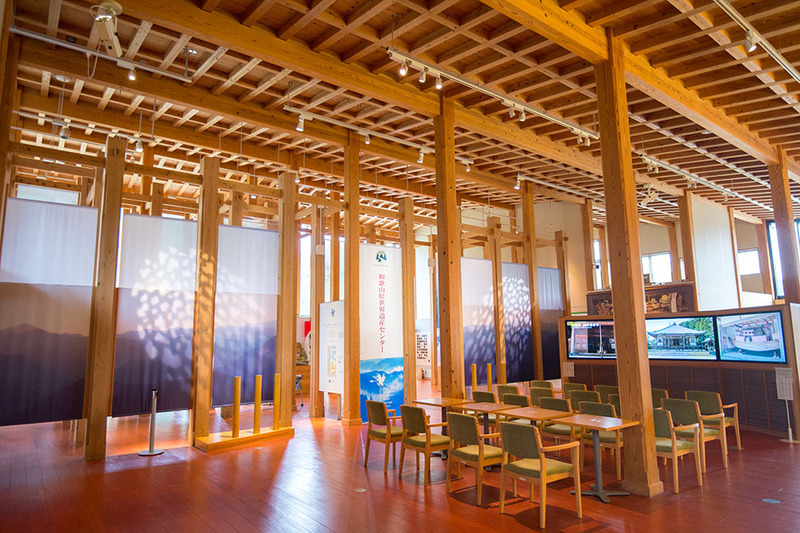 TIP: Many of the accommodations in Kawayu Onsen offer free shuttles to Hosshinmon-oji. 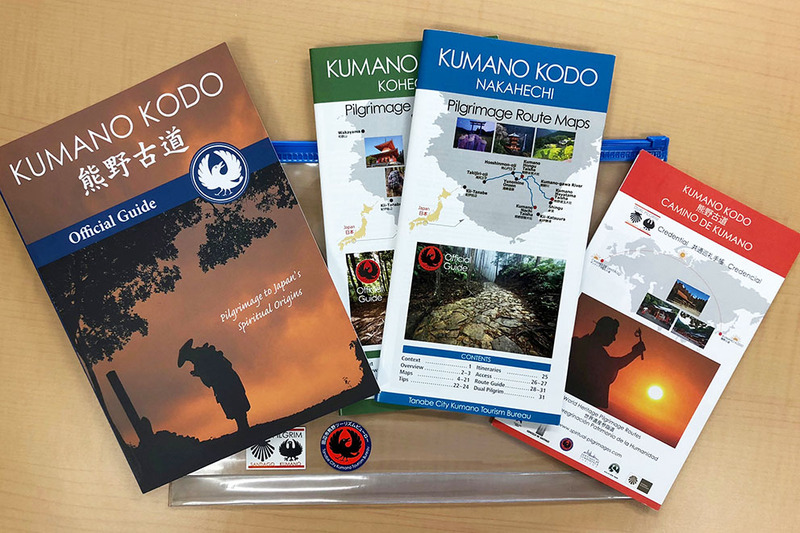 This is a very nice half day walk on the Kumano Kodo pilgrimage route. It goes through a mixture of ridge top settlements and forest trails. There are some good panoramic lookout spots along the trail. Picnic lunch along trail or at restaurant in Hongu. 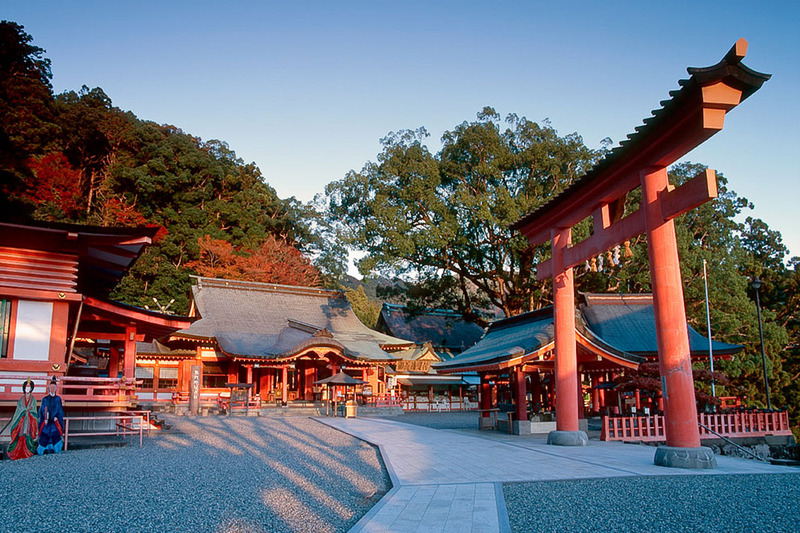 DAY THREE is a visit in the morning to the Nachi Shrine-temple complex including a short walk on the scenic Daimon-zaka slope culminating at the Nachi waterfall, the tallest in Japan. 1. 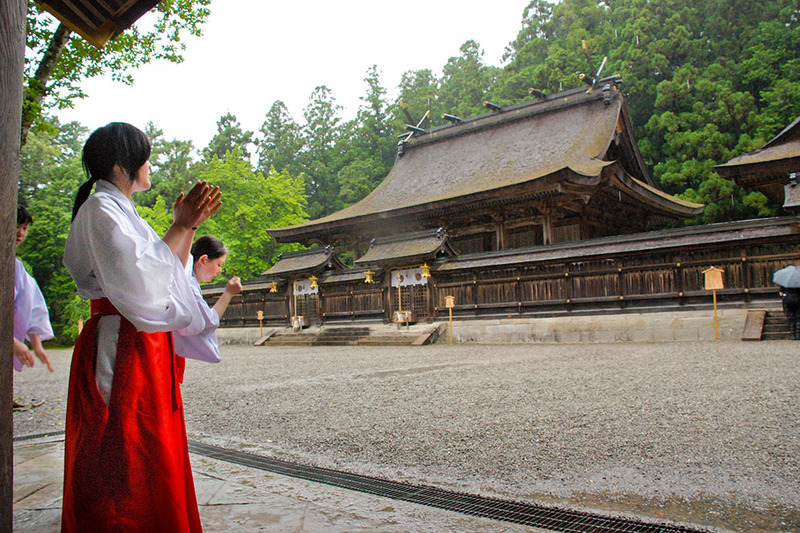 Staying another night in the Katsuura area and visit Kumano Hayatama Taisha in Shingu.